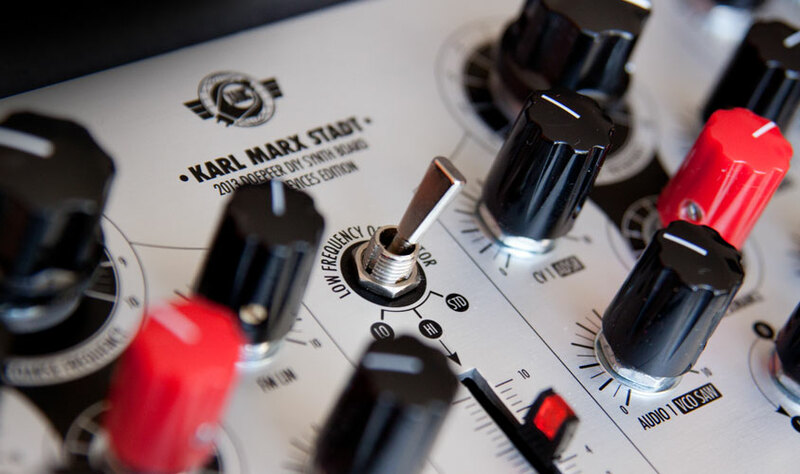 Karl Marx Stadt is a front-end solution for the DIY Synth board, which was truly a great idea, but there?s quite a web of wires, connections, and passive interface controls to deal with ? which could be a headache for a beginner. 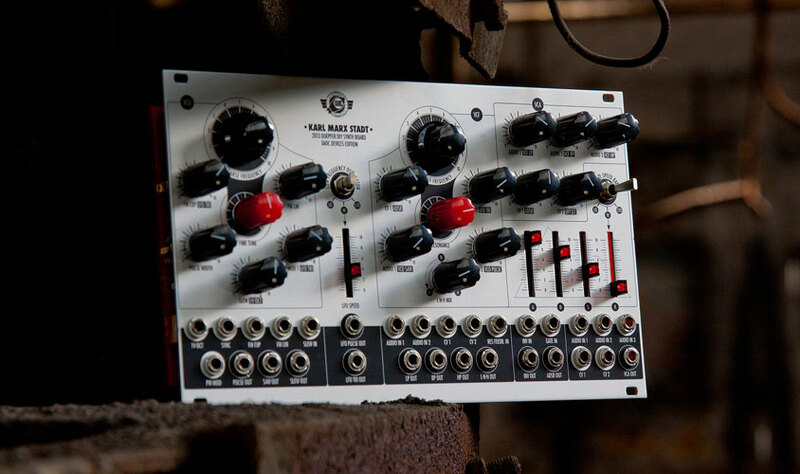 We now offer a convenient eurorack conversion module that gets you started in seconds by simply mounting the board onto a set of headers, absolutely NO soldering or wiring necessary! 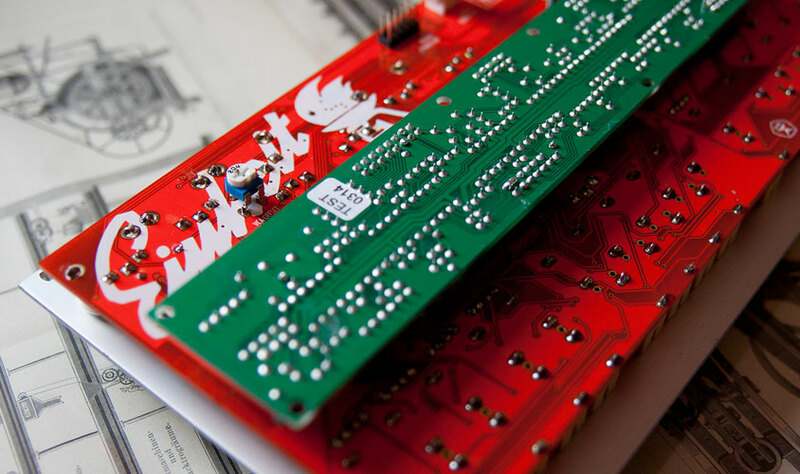 The KMS+DIY Synth combo is the most economically effective and rewarding entry solution for modular beginners. 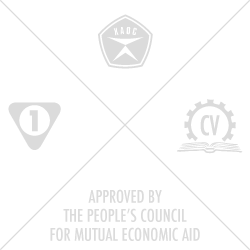 The panel has been laid out in most obvious monosynth style manner. We took advantage of all the internal patchpoints provided by Doepfer. Also, there are normalled connections made behind the panel so you can use the KMS as a selfcontained analog synth voice without even plugging any patch cables in. Of course, the real fun starts when you break them by simply patching anything into their respective input jacks. All the essential functional blocks are provided so you can learn the subtractive synthesis basics but it is also a great addition to more advanced systems as well. The synth consists of 7 modules: VCO, LFO, VCF, VCA, ADSR, slew limiter and inverter. All of these can be used independently. For further information, please refer to DIY Synth?s own manual. 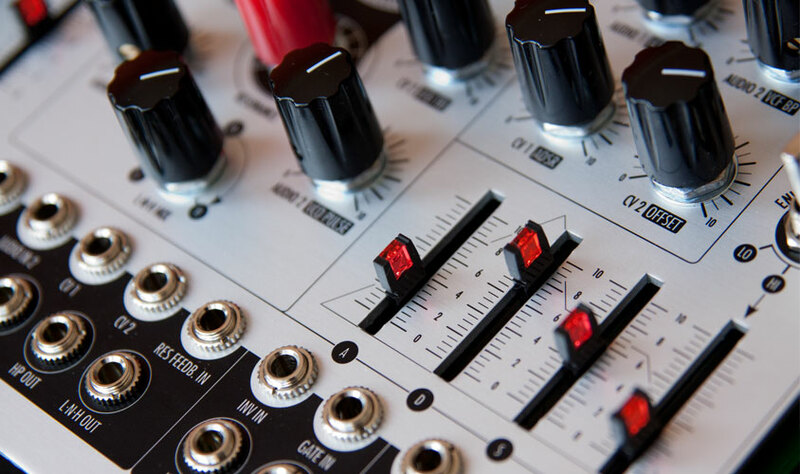 We?ve made some minor mods to the application suggested by Doepfer. Fixed VCF outputs are now mixed in different configuration and the VCA offset can be adjusted by the trimpot on the back. By design, the VCF resonance is provided by feeding the output back in ? we found it fun to actually open up the feedback loop for routing the signal outside (any output) and back. Now, you can obtain some interesting results with external treatment through effects, filters, etc. Sorry, no plans for a replacement.